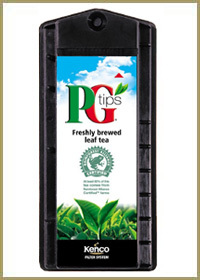 The PG Tips tea capsule contains genuine tea leaves and is actually brewed by the Singles machine to produce one of the best teas that you will get from any coffee vending machine and in addition, the tea leaves themselves are PG Tips Rainforest Alliance certified. The foil sealed capsule keeps the leaves fresh ensuring that you get the best drink possible all day long. 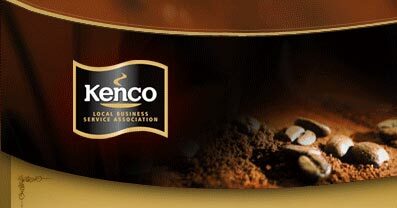 Kenco Local Business Service can deliver PG Tips Singles capsules across Greater London and the Home Counties. We operate our own team of delivery drivers, salesmen and technicians, allowing us to give our customers the best possible service. As one of our customers you can expect quick and efficient deliveries, a comprehensive technical back up for your machine and friendly advice if and when you require it. 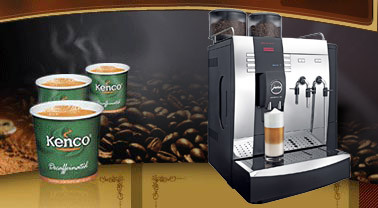 We carry the entire Kenco Singles range of drinks as well as being a leading supplier of both new and refurbished Singles Brewers. These machines are available to rent or purchase on a range of flexible deals.